The atmosphere of Rising Storm is easily the best thing about it, the art is great (apart from a few mis-textured things), the player models look decent in the character creator (and pretty lackluster in multiplayer). The entire map is very well detailed, effects are great. Grenades, Smoke, RPGs and flamethrowers look very real and are brilliantly made. Guns are well detailed. However, compared to the rest, the Napalm and fire effects leave more to be desired. Rising Storm 2: Vietnam has a very steep learning curve. Being a realistic war game, players have leveling tools available for them. There’s no mini-map, enemies are hard to distinguish (You have to differentiate them by their uniforms), and there are no kill-cams. All of this plus the constant firing, explosions and camera effects definitely adds to the exhilarating experience that keeps you on your toes when playing but at the same time it does have its downsides such as being killed repeatedly because of a well-placed enemy sniper. Overall, the game’s atmosphere and intensity make it very fun. The maps are very large and detailed with lots of spots for the cover which is something Tripwire have nailed. On top of that, having 32 v 32 matches (Or sometimes 64 v 64 depending on the server) keeps this game nothing short of thrilling. Furthermore, there are a variety of game modes to choose from, the newest being Campaign. This campaign game mode is very fun, however, it is not a campaign in the traditional singleplayer sense, instead of being a 32 vs 32 playthroughs of the Vietnam war where players fight in battles and select where to attack and defend from. The other game modes are pretty fun as well, Supremacy is a tug of war style objective based game mode, Territories is attack and defense (South Vietnamese always attack North defend except on specific maps) and Skimirish is a more competitive 12 vs 12 small scale battle. My main gripe is the leveling system. There is no emphasis, no drive to make you level up. Once you reach a new level you might get a cosmetic or two, but that’s it, back to grinding out XP. There’s nothing satisfying about finally reaching the next level and despite this, the amount of XP required to level up increases substantially as you progress. The teams, into either North Vietnamese forces or South Vietnamese forces (including the US and Aus) and each side, has its advantages, the NV forces have the advantage of defending which allows them to sit and camp a position while the SV forces have the advantage of using napalms. These two abilities balance out however user-created so no side has an unfair edge over the other. There isn’t much to say about the optimization of the game. Overall it runs pretty well, I did experience infrequent lag spikes every once and a while however user but that’s about it. However, what does irritate me are the default controls for the game. I play a lot of Rainbow six siege and Arma 3, so it took some getting used to the awkward control scheme. Furthermore, the weapon switching is a bit irritating (and clunky) as you it is very slow limiting reaction speed. In conclusion, Rising Storm 2 is a very fun game for those who are willing to learn despite its tricky difficulty curve. The atmosphere of the Rising Storm 2: Vietnam is probably its most redeeming quality and is my favorite part of the game. The game is 100% worth it if you are willing to put the time and effort into the game. 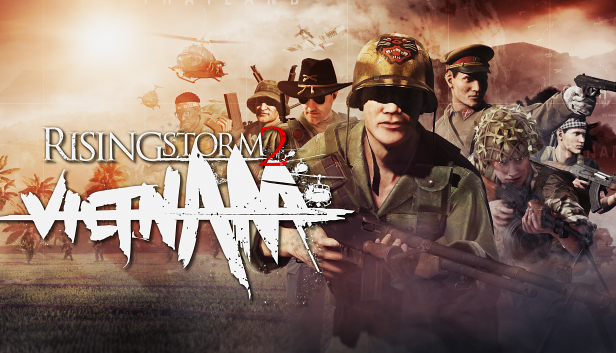 Rising Storm 2 Vietnam is priced at $25 on steam, which at that price is a 6.5/10, however, it frequently goes on sale and is defiantly worth picking up at anything around $15 where I would rate it an 8/10. To elaborate, its really fun. It’s a lot easier than the normal game modes (and there is far less team killing) and is a lot more casual.